When Stores Close, Where Do People Go? Back before the Christmas holidays, I remember hearing news about the toy store company, Toys R Us, closing some of its stores. I didn’t take a serious note of it; first, because I don’t have kids, and my youngest nephew is 16 years old. So it’s been quite a while since I’ve shopped in any of their stores. Second, news of the closing of “some” of their stores was not unlike the reoccurring news of Kmart, Sears, Macy’s, even Sam’s Club. It had become an all too real part of the news cycle. Another month, another retail store filing bankruptcy, mostly to reorganize, and in the process, closing several of their stores. But then earlier this month, that news changed. It was no longer just some stores closing, but rather, news broke that the company planned to sell or close all 800 stores in the US. The part that jumped out to me in the articles I read was that as many as 33,000 employees would be affected! From what I understand, Toys R Us had declared bankruptcy back in Fall 2017 because of an almost EIGHT BILLION DOLLAR debt it was struggling to pay. Let that sink in… Other than the position we’ve allowed ourselves to get into as a country, where else do you hear about a business continuing to operate for so long with that kind of outstanding debt? One of the things that came to mind was wondering how many employees took any action upon originally hearing about the company’s bankruptcy? How many people in upper and middle management pulled out their resumes and started working on updating their information? Or who of the hourly employees started looking for other places hiring in their community? How many even knew or gave thought about the financial instability of their company — even though the information was readily available and reported on? Perhaps it’s hard to say with certainty what any one of us would do, given the same scenario. Or maybe you DO know, because you have already been in this situation. But I ask these questions because I’m curious as to why people stay in a place, making little effort to seek alternative employment, when they know the clock has already started ticking down towards the day when they will lose their job. An announcement that a company you work for is closing should signal that it’s time to get serious about making a change; preparing for reality — the new normal that’s about to fall up you. One article I read talked about the gap between the time when some people can apply for unemployment, and the timing it takes to actually start receiving an unemployment check. And while that money is there for such a time as this, it won’t be the same amount as what most soon-to-be former employees have become accustomed to living on. By its design, it’s suppose to just tie people over until they find that next job. For some, they’ll have one the day their store closes. For others, it may take weeks or months. So my question for you is, how prepared are you if you were to find out today that you will no longer have your job by the end of the year? Or by the end of the month? Maybe even by the end of the week? This entry was posted in Catching Raindrops, Preparation, Saving money and tagged debt, job loss, new normal, retail sales, store closings, unemployed women, unemployment on March 18, 2018 by gloria green entertainment. What is Catching Raindrops in Water Buckets? As we approach the sixth year anniversary of the start of Catching Raindrops in Water Buckets, I want to revisit its beginning. It’s interesting how things seem to work in a cycle. Once again, we’re watching the stock market, as it plunges one day and then regains points one or two days later. While the unemployment numbers look good, people are still underemployed, working jobs for less money today than they were 10 years ago. The rising cost of housing and the new mortgage laws have kept some people from attaining that American Dream, while struggling to find reasonable cost of rent in many markets. And while the interest rates are rising, and the cost of living is higher, most people haven’t seen a significant increase in their paycheck since before the economic crash a decade ago. I started Catching Raindrops in Water Buckets first as a writing assignment for myself. I used journaling as a way to process the massive changes that were happening in my life, particularly the time period following my change in jobs. Change, itself, was new to me. I had many other jobs before, having started working part-time as a young teenager, and full-time right out of college. But all of my positions were “upwardly mobile.” They weren’t all financially mobile, but each one prepared and positioned me for something that built upon the next level – until reaching that level where the financial rewards started paying off. I was brought up to always live within whatever means I was in at any particular time in my life. Whether I was saving money for high school band trips; or to pay my own college tuition; or buying my first car after only a year at my first job, I learned how to practice discipline, patience, and planning in order to take care of the things I needed to take care of. And while I wasn’t perfect at it, I worked hard to be smart with my finances. I opted to live at home during college. I had three roommates when I finally got into my first rental house after Graduate school. And my first car was safe, boring, and inexpensive! But in December, 2008, things changed. And those changes didn’t line up with my plans. They were a shift away from my otherwise, upwardly mobile status in life. And it was playing out in a non-temporary way. There I was, along with hundreds of thousands of other people around the country, trying to deal with the impact of a Recession that few people saw coming, and most people had no idea how much it would personally impact them. I woke up one morning, and realized that the “normal” life I’d built for myself had been uprooted. So the only sanity I could hold on to was through writing. It was my means of processing the entire episode. Through that, I realized I was going to have to change some things; not just for this moment, but forever. As I was going through my own world of “adjustments,” I watched others trying to make it through theirs. Not every life adjustment had to do with a job loss – but all of them impacted financial stability in some way. Friends going through divorces; neighbors impacted by a spouse’s inability to work; loss of income after the loss of a spouse; people dealing with unexpected medical diagnosis amidst inadequate medical insurance; unexpected legal issues that were emptying bank accounts; and a host of other issues, including people working fewer hours, or dealing with a cut in pay to prevent layoffs. There were people around me who were trying to just “deal” with the things happening to them. Not all of them seem to understand that part of dealing would need to include an adjusted mindset. It was what I learned through journaling. I realized I couldn’t continue to focus on what was “normal” in my life prior to the major changes that had just happened. That normal didn’t exist anymore. I couldn’t keep doing the same things; at least not in the same way. I had to adjust to the new situation I found myself in. And I wanted to help other people; namely women, to do the same. That’s why I took Catching Raindrops in Water Buckets off the pages of my personal journal and onto the Internet with this blog site and Facebook group page to share information and to encourage peer-to-peer participation. Women helping women work through issues and situations that they may not be ready for, or could use an extra perspective in dealing with. Catching Raindrops in Water Buckets focuses on teaching, sharing, and learning how to use what you have today to help plan for what may not be there tomorrow. I hope there are some of you willing to share your story too! Adjusting Your Life to Your New Normal. This entry was posted in Catching Raindrops, Creating Income, discounts, divorce, Energy Savings, Freebies, Saving money and tagged Creating Income, job loss, planning, recession, underemployed, unemployed women, unemployment, women on February 18, 2018 by gloria green entertainment. I teach in the Recording Industry department at a local university. One of the classes I teach is called Music Survey. It explores the three main revenue streams of the music industry. The first time I taught the class was as an Adjunct Professor. I was working full-time with my own company, and teaching three courses. As I read through the book to prep for class each week, I was reminded of something I’d promised myself almost three years earlier. When I left my former job, I told myself I would never again work for just one company unless it was my own. And at the point that I decided to launch Gloria Green Entertainment, I also decided then that I would seek out multiple means of earning an income, so that no one thing could ever be pulled out from underneath me again. As I was teaching students about the various ways to generate revenue, and stressing the importance of creativity and diversity in those streams, I continued to seek out multiple sources of income earnings myself. And while my age may put me on the forgotten line for those of us born in the 1960s, frequently left out of true marketing, psychological, or social demographic studies – other than being referred to as the Me Generation, thanks in part to the success of the Michael J Fox Pepsi campaign, and a series of Brat Pack movies from the 1980s, my mindset and lifestyle plants me firmly on a different line – that of the entrepreneurial-minded Gen Xer and tech-loving world of the Millennials. So as a woman; especially a single woman, I have made it a point to try to encourage my friends to seek out opportunities to turn their hobbies and passions into a means of financial reward, while keeping their day-jobs. It is the spirit of Catching Raindrops in Water Buckets; and it is becoming the necessity of adjusting to your new normal. In the wake of five years of financial instability, where job security is a phrase of the past, seeking entrepreneurial opportunities just makes sense. And no, you don’t have to put together a 10-page business plan; you don’t have to have an MBA; you don’t even have to know how to run a business, although understanding how to balance a checkbook would definitely come in handy. What you do need is passion, a drive for hard work, and to surround yourself with good friends who will help you realize your dream, and maybe even come along side you in it. I know talented women who have various abilities and skills that they could monetized, but they’re afraid of the idea of running their own business. That’s not to say that starting a company is easy and everyone should do it. Quite the contrary. Way too many first-year companies never make it past a few years. My challenge to my female friends isn’t about quitting their day jobs and giving up their profit share, 401-k, and retirements to chase a dream. It’s more about extending your ability to realize your dream by starting something more – like those incredible cookies you bake and give away as Christmas gifts every year that no one can stop talking about; those birthday cakes you decorate for your family, and every year more friends ask you to make some for theirs; the homemade cards you make from recycled paper; or the soaps you make using your own garden herbs. You love giving them away, but there are people out there who wouldn’t mind paying to have them. I have friends who offer services ranging from copyediting to house sitting; and those who taught themselves new skills, like web design and photography. Even the ability to help others get organized can be turned into a nice side business. So over the next few weeks, I’m going to share some stories of women; average, everyday women I know, who for various reasons, have taken a talent, a passion, or just a desire to do something else, and created a secondary stream of income; some out of need, some out of want, but all are growing a new business for themselves. Perhaps you’re one of those people; someone who has created something more than the 9 to 5 job that pays the mortgage. Maybe you’ve gone from a two-income family to a one and you had to find another means of support for the family; perhaps you’re one of thousands of people who are currently underemployed, working at a job earning much less money than you were 3, 4, or 5 years ago. Creating another income source helps to close the financial gap. Maybe you’ve had several unexpected bills – after all, life happens – and the salary you have barely covers the bills you’ve created. Or maybe, like me, you’ve been burnt before, and never want to rely on only one income source. Whatever drove you to the desire to start something new, I’d love to hear from you here, or follow us and share the link to your website on our Twitter page @CatchingtheRain. This entry was posted in Creating Income and tagged entrepreneur, Entrepreneurship, hobbies, new income, second jobs, underemployed, unemployed women on July 28, 2013 by gloria green entertainment. I’m glad you found us. We’re just getting started, but we have no plans of going anywhere any time soon! I hope we provide you with enough information, resources, great stories, useful tips, some humor, and inspirational moments that will make you want to come back time and time again. Better yet, why not sign up to receive notifications of blog posts, and then you never have to wonder what you may be missing out on! If you haven’t already read About Us, tab on over and discover who we are and why we’re here! For those of you who like your community a little more social, feel free to leave a comment here (or your own tips, suggestions, and resource links), or meet us over in our group on Facebook. You’ll need to LIKE our umbrella company (facebook.com/gloriagreenentertainment.com) and then send us a message requesting an invite into our Catching Raindrops group. We promise we’re not trying to be exclusionary; we just want to know everyone coming in so that we can all have fun, but feel safe interacting with one another. If you’re more of a visual person, there’s a YouTube for that (http://www.youtube.com/user/CatchingRaindropsN), or if pinning is your thing, we’ve just joined some of the rest of you over there (http://pinterest.com/waterbuckets/). We still have a little more work to do in that area, but it’s been fun so far! And of course, for those who want to digest things just 140 characters at a time, follow us @CatchingtheRain. Whatever your choice of media, we’d love to hear from you and learn more about you. 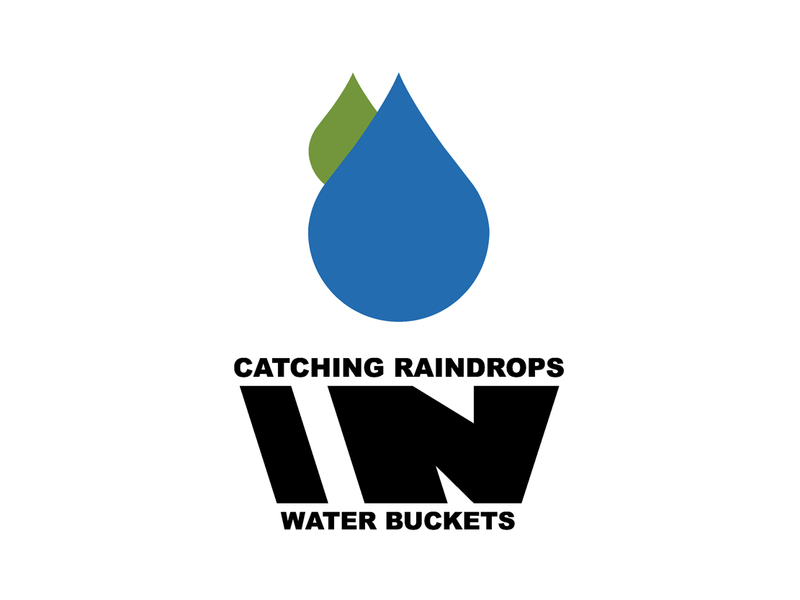 We’d especially like to hear how you are catching raindrops in your own water buckets. So if you like what you find when you visit us, how about tell some of your other friends where they can find us as well. We’ve got plenty of room for as many as you want to bring over! Thanks again for visiting. Looking forward to connecting! This entry was posted in Catching Raindrops and tagged blogging, couponing, creative financing, new normal, Online Communities, saving money, single women, Social Networking, unemployed women, water buckets on June 28, 2013 by gloria green entertainment.